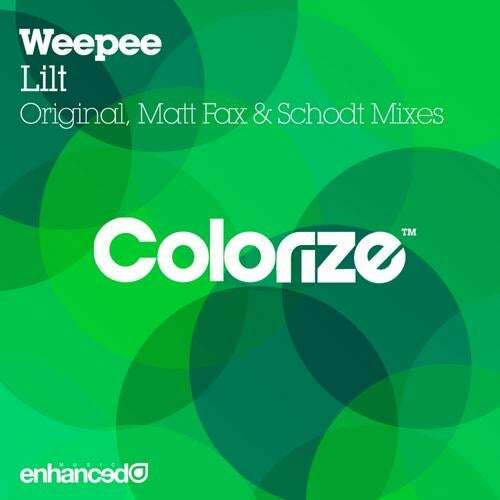 Valdemaras Baranovskis aka Weepee, is the latest rising progressive star from Lithuania and he delivers this stunning release next on Enhanced's Colorize. Colorize welcomes the inspiring talent for his label debut which is a deep progressive outing packed with emotion - showcasing progressive as it should be! The massive 'Lilt' package comes with two excellent remixes from the talented Frenchman Matt Fax whom delivers an uplifting makeover, using melodic riffs to spark bundles of groove, and Danish producer Schodt who supplies a sublime breaks effort with warm pads and acoustic guitar to totally transform the original. Nothing short of an outstanding debut release from Weepee with two awesome remixes. Early support from Above & Beyond on ABGT!